Welcome to Subbies Herbo Care, sole distributors of HRudved an Ayurvedic non-invasive remedy for Coronary Artery Disease (CAD). In India, CAD has become a life style disease and started attacking younger people of age 25 to 30 years onwards. The surgical remedy is too expensive and many of Indians find it difficult to afford. Keeping this in mind, our team of Ayurvedic Physicians has been working on developing a cost effective remedy to prevent Heart Attack and avoid expensive surgical interventions. Surgery for CAD is not a permanent solution. There is no guarantee that re-clogging of arteries will not take place. It is only a stop-gap arrangement and the patient has to be on undesired medication for life long besides always live with a fear that when will be the next attack. 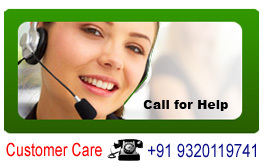 With respect to diabetic patients, they are more prone to suffer from CAD than non-diabetic patients. A diabetic patient has to be under medication for CAD life long. Based on the Ayurvedic treatment provided to patients suffering from CAD and the feedback we have received, we came out with a product by name Rudved in 2005. Formula of Rudved had Nine ingredients. This formula was modified further and in 2008 we came out with a modified formula having Ten ingredients and marketed in the name and style as Wrudved. Keeping in mind with the need of ever growing heart patients, we had to improve the formula further and launched HRudved in 2014 having Twelve ingredients. RUDVED capsules have been tested by SGS India Pvt.Ltd., Chennai for heavy metal contents and it was established that the findings are much below the permissible limit approved by the WHO and FDA. Hrudved is ideal complementary to EECP (Enhanced External counter Pulsation ) treatment. EECP helps to open the collateral arteries. 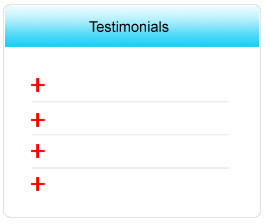 It does not give guarantee that re-clogging of arteries will not take place. Hrudved will act as a complementary to EECP treatment and will help to prevent re-clogging of arteries. HRUDVED is Manufactured by Gajanan Herbaceuticals, Reg.office R.H.No.3,Ghajanan Krupa, S.No.8/20, A/1+21A, Benkar Vasti, A. P. Dhayari, Tal. Haveli, Dist. : Pune - 411041 having Mfg. Lic.No. :PD/AYU/010-A/10 and Manufactured At : Everest Pharma, S.No.30/14, Unit Nos.3, 4, 13 &14, A.P.Dhayari, Tal.Haveli, Dist.Pune-411041, India. 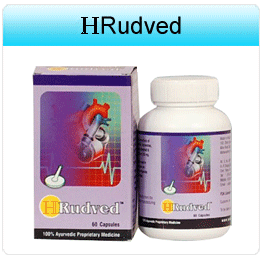 THE PURPOSE OF DEVELOPING HRUDVED IS TO HELP ECONOMICALLY WEAKER SECTION WHO COULD NOT AFFORD EXPENSIVE INVASIVE REMEDY FOR CORONARY ARTERY DISEASE.